The Contemporary Arts Center presents the first solo museum show by James Hoff. “B=R=I=C=K=I=N=G” features a series of recent works by James Hoff, best-known for his work as co-editor and publisher of Primary Information. 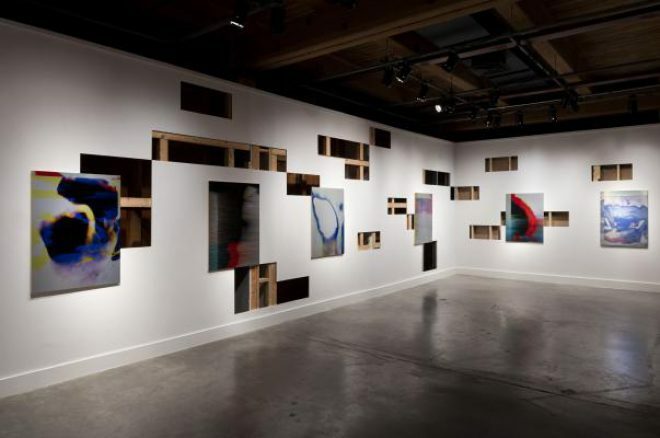 Hoff’s “virus paintings” are printed on aluminum and created from digital files that the artist corrupts with malware. The works are installed alongside mysterious wall cut-outs that reflect Hoff’s processes of creation and destruction. “B=R=I=C=K=I=N=G” is the first show presented at the Contemporary Arts Center (CAC) by Andrea Andersson, its new Chief Curator of Visual Arts. For more information, visit the CAC’s website. This listing was originally published as our Exhibition Pick for the week of December 21, 2015. Check the Art Review for our current Exhibition Picks.